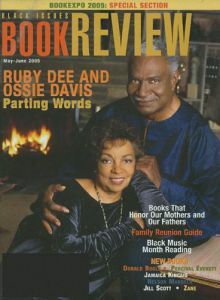 Black Issues Book Review Magazine was named one of the ten best new magazines of 1998 by Library Journal. Black Issues Book Review magazine is the ultimate guide to the wide range of fiction and non-fiction being published by and about people of African Descent. Each thought provoking, entertaining issue of Black Issues Book Review magazine expresses the joy of reading with a unique blend of provocative reviews, author interviews and insightful commentary.